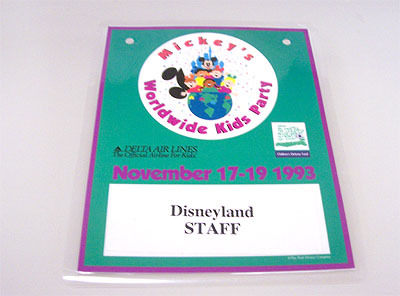 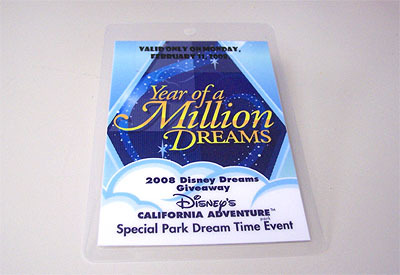 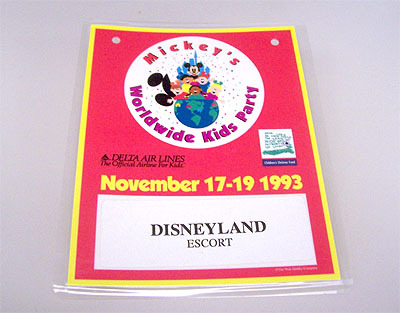 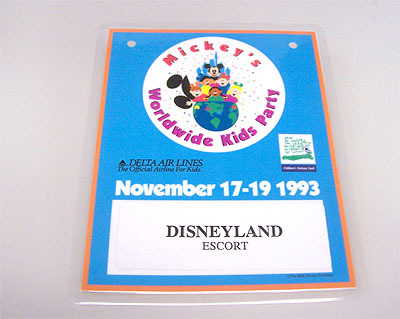 Many special events are held regularly at the Disneyland Resorts. 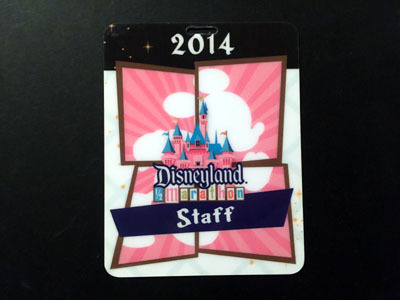 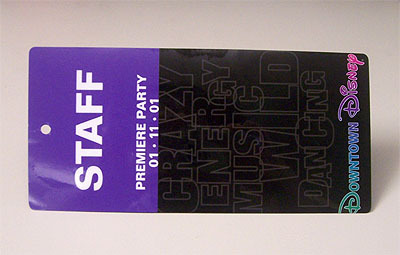 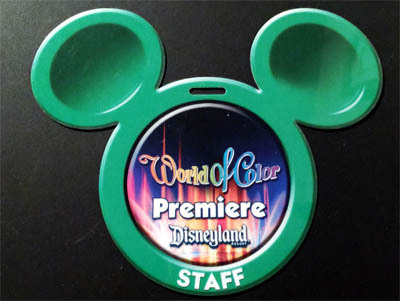 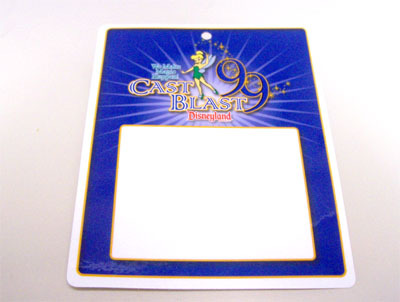 Participants are given special badges that provide access to the event and identification. 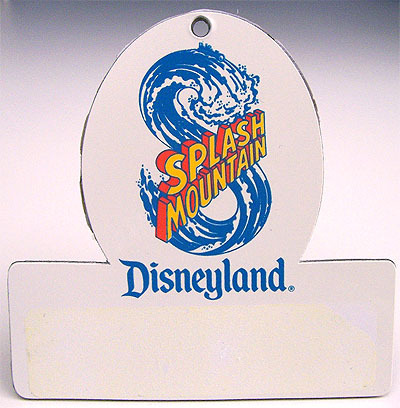 Disney's California Adventure Resort, February 3-9, 2001.
of the New Fantasyland at Disneyland, on May 25, 1983.
celebration at Disneyland, July 16-17, 1990.
of Splash Mountain at Disneyland, July 16-19 1989. 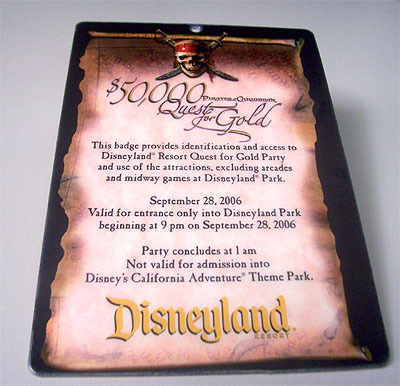 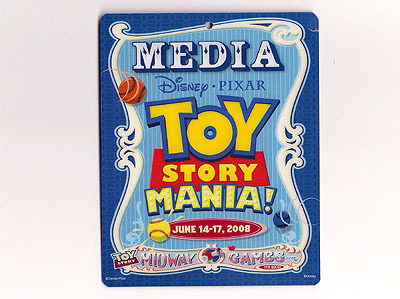 Badge worn by participants in the "$50,000 Quest for the Gold"
event at Disneyland, on September 28, 2006.
at Disneyland for the MLB All-Star Game. 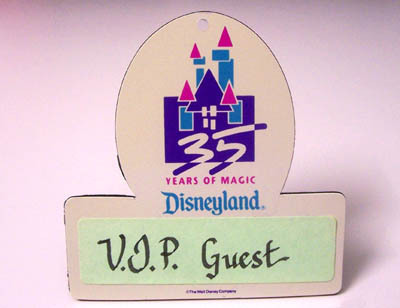 stay in the park one hour after its regular closing time. 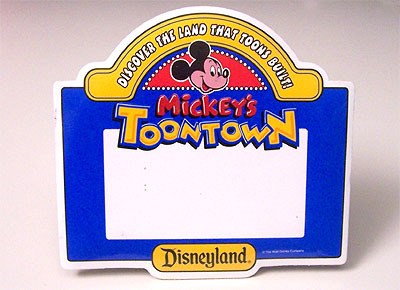 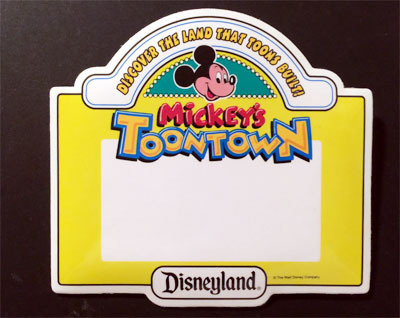 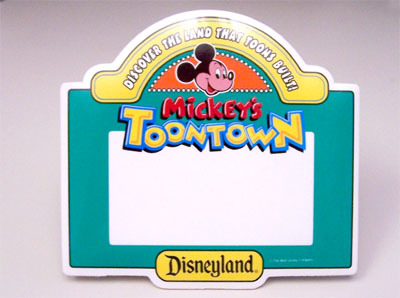 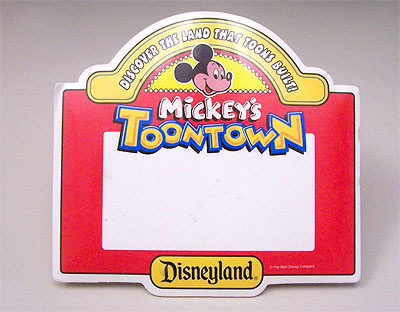 of Mickey's Toontown on January 22-27, 1993.
of Mickey's Toontown on January 22-27, 1993. 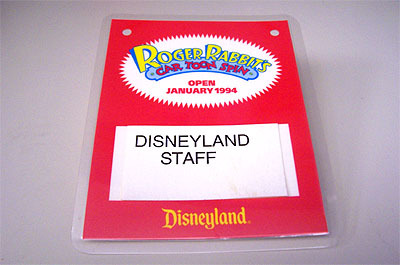 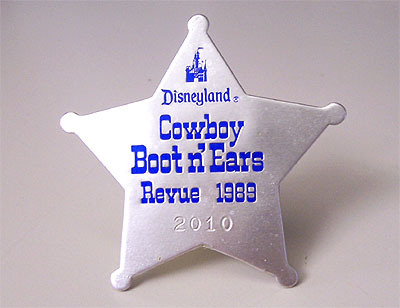 Badge given to cast members and the press at the opening of Roger Rabbit's Car Toon Spin, January 25-27th, 1994.
at Disneyland, November 17-19, 1993.
at Disneyland, ca. 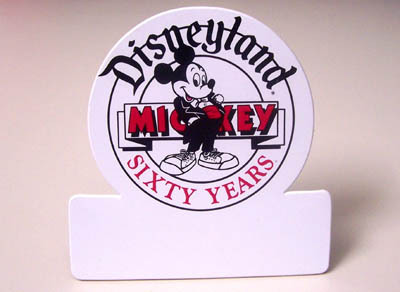 the late 1950's. 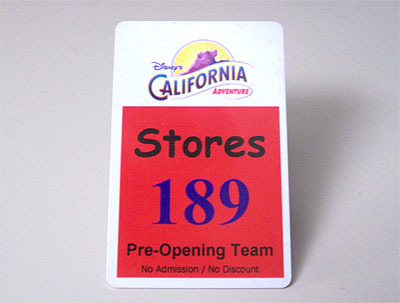 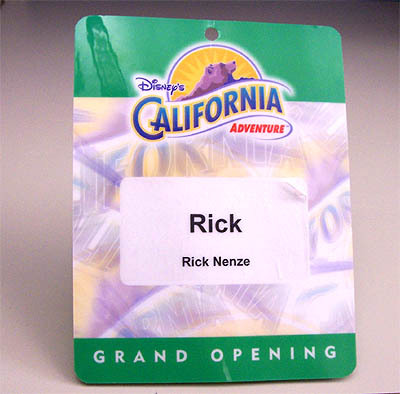 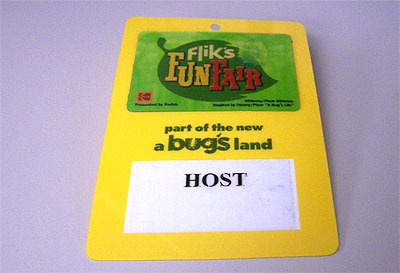 the Downtown Disney District, January 11, 2001.
opening of Flick's Fun Fair at DCA, October 5-8, 2002. 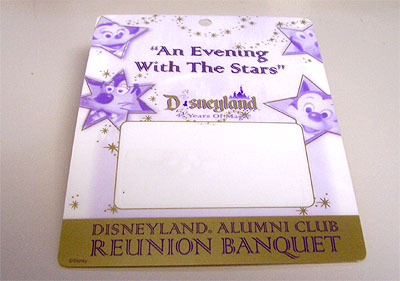 Disneyland Alumni Reunion Banquet, ca. 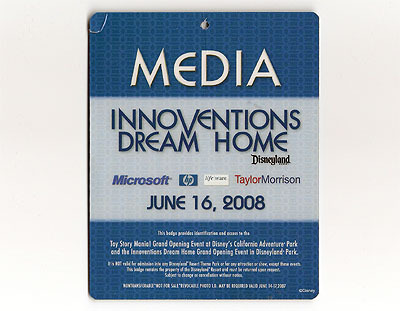 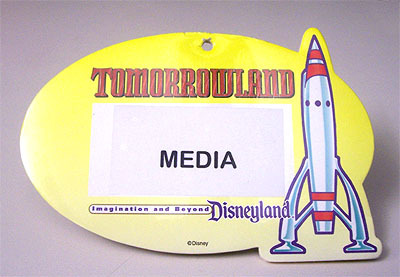 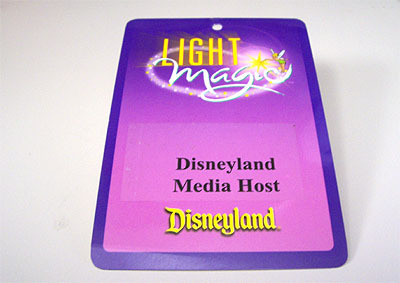 2000.
premiere of the Light Magic parade, May 20-24, 1997.
premiere of Innoventions Dream Home, June 16th, 2008.
during the premiere of the World of Color show at DCA. 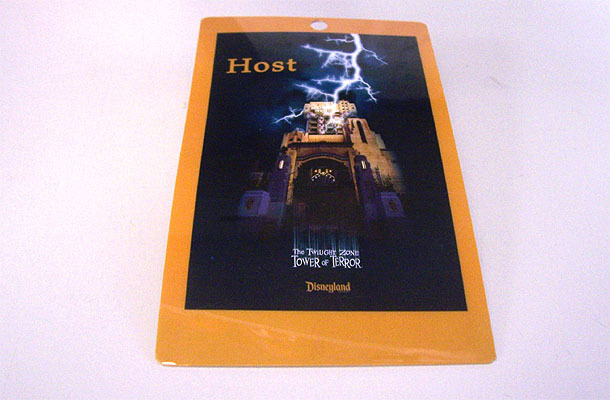 Twilight Zone Tower of Terror attraction, on May 3-5, 2005. 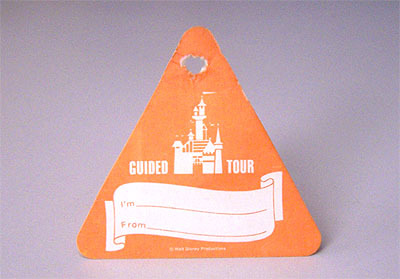 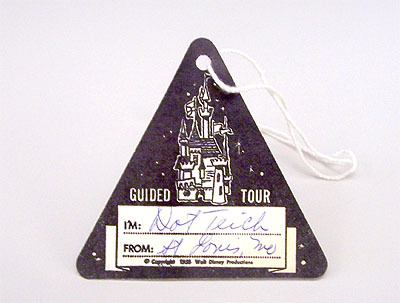 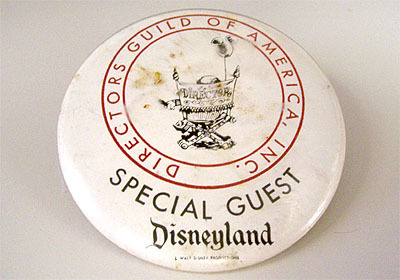 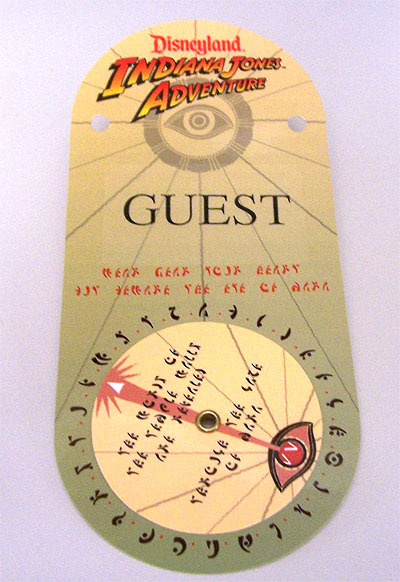 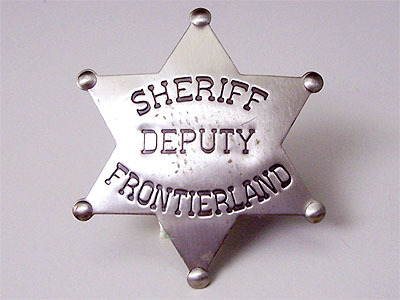 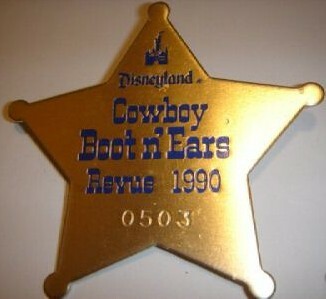 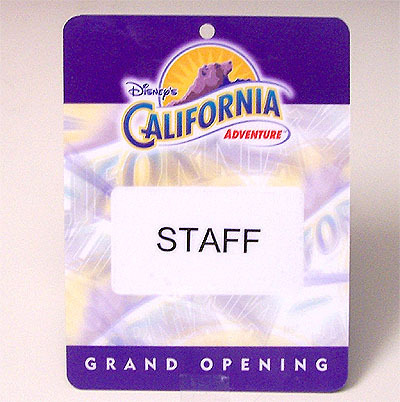 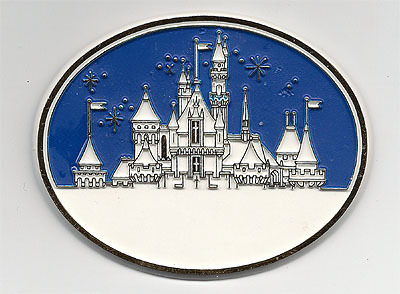 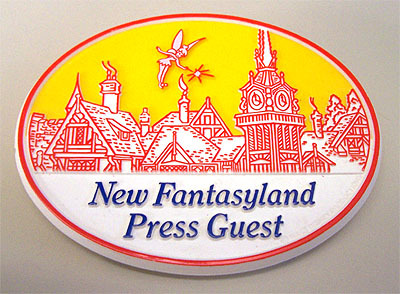 Badge given to guests attending the opening of the Indiana Jones Adventure attraction at Disneyland, Feburary 25-28, 1995. 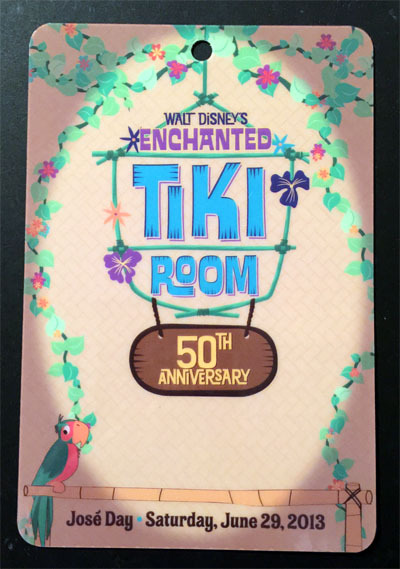 Anniversary of Walt Disney's Enchanted Tiki Room in 2013.